We're still trying to eliminate sweatshops and child labor by buying right. But that's not how the world works in 2015. It all started in the mid-’90s, when anti-sweatshop mania burst into the mainstream of American culture. Naked people chanted outside the opening of an Old Navy, Jennifer Love Hewitt led an anti-sweatshop protest on "Party of Five," Kathie Lee Gifford cried in front of Congress. Nearly every major apparel brand was, at one point or another, the target of a boycott campaign. Radiohead told its millions of fans to read No Logo, Naomi Klein’s investigative polemic against multinational corporations. This is the world that No Logo built. By the end of the ’90s, a society-wide consensus had formed on how companies should operate their developing-country factories. First, we wanted them to ban all the terrible things we read about in magazines. No more child labor, choked ventilation, abusive bosses, confiscated passports. Companies should apply U.S. working conditions or, at the minimum, follow local laws where they operated. Second, we wanted them to send inspectors to see if those commitments were being met. And most companies did these things. That was the easy part. The hard part, it turned out, is that these structures aren’t designed to make factories take better care of their workers. They’re designed to make factories look like they are. When you hear the word “inspector,” you think of a sort of detective, walking up and down whirring assembly lines, interviewing workers, interrogating managers. In reality, factory audits are primarily a paperwork exercise. Inspectors typically spend one day—two, tops—at each factory, mostly in the back office, checking time sheets for shift lengths, birth certificates for child labor, pay stubs for wages and overtime. Those small-batch, hemp-woven Daisy Dukes you bought in Dumbo are far more likely to be made in a sweatshop than your $7 H&M gym shorts. For his book The Promise and Limits of Private Power, Brown University’s Richard Locke examined 10 years of Nike inspections. Nike was doing two kinds of audits, one mostly based on paperwork and the other incorporating the impressions of its staff after visiting factories. From 2001 to 2005, the paperwork audit showed that working conditions in almost all of Nike’s suppliers were steadily improving. When Locke checked the qualitative audit, though, he found that nearly 80 percent of them either hadn’t improved—or had gotten worse. Partly in response to this dynamic, a lot of the big brands switched tactics, moving from wrist-slapping to worker-training. In 2009, Nike set up a model factory in Sri Lanka and sent managers there from all over the world. Since any change in operations can make suppliers less productive at first, the company signed long-term agreements with factories, pledging to stick with them as they learned how to meet deadlines using better methods and safer equipment rather than longer shifts. But these second-gen practices couldn’t insulate factories from the countries where they operated. The Nike training worked wonders in Mexico, but had no effect in China or Sri Lanka. Between 8 and 10 percent of Mexican workers quit every year. In China, it was that high per month: They were training employees only to send them to other firms. Mexican factories had unions and NGOs telling workers how to take employers to court if they didn’t pay back wages. In China, where labor activism is basically illegal, workers didn’t even know which rights they had, let alone how to exercise them. Now, I don’t want to give the impression that consumer boycotts were totally useless. Twenty-five years after the movement began, some large suppliers have formalized workforces, provide better health and safety practices and pay above the minimum wage. Ironically, it’s the major brands, the companies that are still the targets of those viral NGO campaigns, which are the most likely to use these factories. The biggest names, after all, have the greatest incentive (and the resources) to defend their reputations. Chikako Oka, a lecturer at Royal Holloway University, found that reputation-conscious companies had 35 percent fewer working violations in their Cambodian factories than did generic brands. Which leads us to the first flaw with our existing model of anti-sweatshop advocacy. It’s not the largest or the second-largest company we should be worried about anymore. It’s the 44th, or the 207th. Those small-batch, hemp-woven Daisy Dukes you bought in Dumbo are far more likely to be made in a sweatshop than your $7 H&M gym shorts. But that’s not the only problem. In the last 25 years, as the big brands were getting (somewhat) better at monitoring their supply chains, the entire global apparatus of manufacturing shifted underneath them. At 6:45 p.m. on November 24, 2012, the fire alarm went off on the fourth floor of a nondescript building in the suburbs of Dhaka, Bangladesh. Inside, nearly 1,200 garment workers were on deadline, scrambling to complete an order. When the bells started ringing, they asked if they could leave. Their managers told them to go back to their machines. Five minutes later, the floor filled with black smoke; screams could be heard from below. The building had no sprinklers or fire escapes. Workers tried to flee down an internal staircase, but the exits were locked. Those on the lower floors were trapped by boxes of yarn and clothes that had already been completed. The fire eventually engulfed the building, killing at least 112 people and injuring hundreds more. Some broke their backs and legs jumping from the windows. 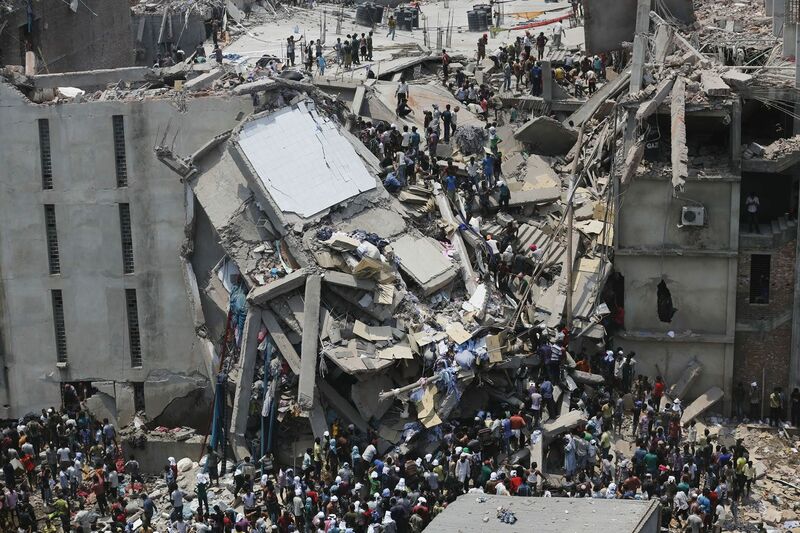 Most of the workers inside the Tazreen garment factory were making clothing for Western brands: Dickies, Wal-Mart, Disney, all their logos showed up on labels pulled from the rubble. But Tazreen wasn’t yet another example of corporations failing to police conditions in their factories. It was an example of how doing so has become impossible. We buy more clothes now, move through trends faster. In the olden days—the early ‘90s—brands produced two to four fashion cycles per year, big orders coordinated by season, planned months in advance. These days, there’s no such thing as cycles, only products. If a shirt is selling well, Wal-Mart orders its suppliers to make more. If headbands inexplicably come into fashion, H&M rushes to make millions of them before they go out again. This flexibility means that factories have to compete on the number of clothing lines they can produce and how quickly they can switch from one to another. Chinese manufacturers that once made four products at a time now make 300. Locke profiles a Honduran supplier that used to have around two months to prepare orders for Western brands—buy fabric, cut T-shirt shapes out of it, sew them together, send them to stores. Now they get one week. In the fast-fashion era, Western brands can’t afford the luxury of working with the same suppliers and ensuring that they meet the company’s standards. And so, rather than manage a giant, respirating network of factories themselves, most of them have outsourced this coordination to megasuppliers: huge conglomerates that can take a design sketch, split the production between thousands of factories, box up the goods and ship them to stores in less time than they’ll stay in style. Manufacturing middlemen aren’t new, of course: Those “Nike factories” in Indonesia that Jennifer Love Hewitt marched against were actually run by Taiwanese and Korean firms. What is new, though, is how big the megasuppliers have become and how much of the sector they control. In Sri Lanka, four companies generate roughly 25 percent of the country’s garment income. Yue Yuen, the Foxconn of footwear, makes one-fifth of all the shoes in the world. The largest apparel megasupplier, Li & Fung, which produces everything from Wal-Mart basics to Disney plush toys to Spanx, has revenues of $19.2 billion; more than Ralph Lauren, Armani and Tommy Hilfiger combined. The Chartered Institute of Logistics and Transport calls Li & Fung’s operations “ephemeral.” It has 15,000 supplier factories in 40 countries, but doesn’t own or operate any of them. It’s a coordinator, configuring cotton suppliers, textile mills, stitching and sewing houses into a straight line just long enough to deliver one order to one buyer, and then reconfiguring them for the next. Li & Fung does inspect its suppliers and send reports back to its buyers. But there’s no guarantee that orders will be filled by the same factory twice, and audits are often carried out after the order has already been placed. And so clothing companies have no ability or incentive to fix what they find. It's like finding out the results of a restaurant health inspection after you've already eaten your meal. In 2013, The New York Times published a sort of greatest-hits of Li & Fung violations: 29 workers killed in a fire in Bangladesh in 2010; at least two workers killed in a “stampede,” also in Bangladesh, in 2011; 280 workers fainting at a facility in Cambodia due to malnourishment and air contamination; a dozen workers fired in Indonesia, allegedly for trying to start a union. Jeroen Merk, a researcher at the International Institute of Social Studies of Erasmus University Rotterdam—and one of the few academics who’s investigating the megasuppliers—says their business model is deliberately organized to keep buyers separated from factories. If brands discover what factories charge, they might work with them directly and keep the margin for themselves. Some companies ordering clothes through megasuppliers, he says, don’t know which factories they were made in—or even which countries. In many cases, the megasuppliers don’t know either. Last year, a compliance manager for a European brand told NYU’s Center for Business and Human Rights that small factories in Bangladesh, capable of producing just 10,000 pieces per month, were accepting orders 10 times that large and then filling them through agents, small workshops, and home-based workers. Gale Raj-Reichert, a researcher at the University of Manchester who studies electronics supply chains, met a manufacturer in Malaysia who had no idea which company he was producing for. He got his orders and delivered his goods exclusively through middlemen. 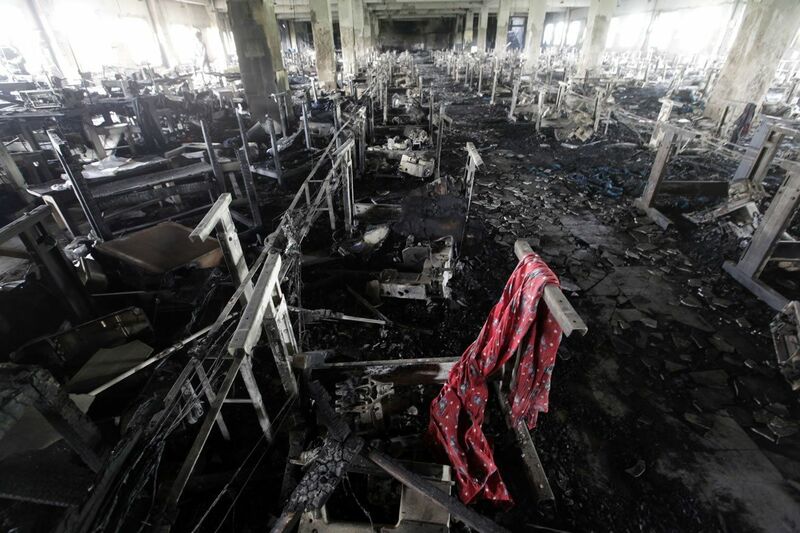 After the Tazreen fire, NGO campaigns focused on how Wal-Mart was responsible for 60 percent of the clothing being produced there. But Wal-Mart never actually placed an order with Tazreen. In fact, over a year before the fire, Wal-Mart inspected the factory and discovered that it was unsafe. By the time of the fire, it had banned its suppliers from using it. So here’s how its products ended up at Tazreen anyway: Wal-Mart hired a megasupplier called Success Apparel to fill an order for shorts. Success hired another company, Simco, to carry out the work. Simco—without telling Success, much less Wal-Mart—sub-contracted 7 percent of the order to Tazreen’s parent company, the Tuba Group, which then assigned it to Tazreen. Two other sub- (or sub-sub-sub-) contractors also placed Wal-Mart orders at Tazreen, also without telling the company. It was the same with many of the other brands whose labels were found in Tazreen: They either didn’t know their clothes were being produced there or had explicitly banned the factory as a supplier. Those companies now say that, because the orders violated their policies, they’re not obligated to compensate victims. It’s tempting to think that we can do something about this. Boycott the companies that use megasuppliers, maybe. Last year, partly over concerns about sub-contracting, Wal-Mart “in-sourced” its production back from Li & Fung and started coordinating its own network of suppliers. But the Wal-Marts of the world can’t magically un-link themselves from the pressures of global supply and demand. Instead, companies that in-source production just become their own megasuppliers. Subcontractors can still deceive auditors or farm out orders without telling Wal-Mart. For smaller companies, the ones NGOs aren’t watching, in-sourcing isn’t even an option. And besides, going after the megasuppliers just moves the tired name-and-shame routine one layer down. Auditors tell me Li & Fung, just like the companies it sells to, has good factories and bad ones. As it grows, it is finding reasons to defend its public reputation—it is still the only company that has directly paid compensation to the victims of Tazreen. The worst conditions probably aren’t in Li & Fung factories, but in the ones a few billion in revenue down the rankings. In Cambodia, a group of South Korean intermediaries, all of them with names you’ve never heard, are backing a lawsuit against their own workers, demanding that they pay back $200 million in revenue the companies lost during a strike. Consumers’ power, to the extent we had any, depended on brands forcing their supply chains to do better. Now they—and we—are losing that power. And that’s still not the worst of it. The really atrocious violations, the ones most likely to proliferate, are in places where we have no influence at all. In Delhi’s garment cluster, “children start learning the job at the age of 8,” writes the University of London’s Alessandra Mezzadri. “They master it by the age of 12.” She calls the area a “composite sweatshop”: For every tailor working in a factory, there are several employed in homes, workshops or backyards. Around 80 percent of the workers are informal — mostly migrants, some of them trafficked, hired and fired as orders are commissioned and completed, divvied out by brokers, paid a few cents for each piece of clothing they deliver. The children get paid half as much as the adults. During her fieldwork, she found kids sitting on apartment floors, sewing and cutting, often under the supervision of their parents. Vignettes like these are usually invoked to condemn us for our own complicity in these wages, these workshops. Delhi’s garment workers aren’t producing clothes for export, though. They’re sewing saris and embroidering clothes destined for Indian and Bangladeshi and Pakistani shelves, not Western ones. This, Mezzadri told me, is “why child labor persists.” Factories in developing countries that send clothes to export markets need to at least look like they’re complying with social standards. For domestic markets, they don’t. Maybe even more than the other reasons I’ve outlined, this is why consumer advocacy campaigns are never going to improve working conditions in the developing world: Western markets simply don’t matter as much as they used to. India produces twice as much clothing for its own consumers as it does for us. Fifty-six percent of the clothing produced in China is for the Chinese market. Both of those numbers are only going to grow. And it’s not just developing countries selling stuff to themselves. They’re also selling a rapidly expanding share to each other. From 2008 to 2013, the fastest-growing demand for apparel was in China, Eastern Europe, India, Turkey and Brazil. Garment exports from Bangladesh to other poor countries have grown by as much as 50 percent per year. Rich countries make up just one-tenth of the world’s population. In the next 15 years, their share of consumption is expected to fall from 64 percent to 30 percent. Most of the 1.2 billion people the global economy added to the middle class in the last 15 years earn between $2 and $13 per day. “The nature of demand will be for cheap, undifferentiated goods,” says a World Bank report—exactly the kinds of products that are most likely to be made in supply chains with low or nonexistent labor standards. This shift is already eroding the meager gains we’ve made protecting labor conditions and the environment in poor countries. The timber sector in Gabon, for example, used to specialize in high-quality, processed lumber for European customers. Exporting to OECD countries meant that all the wood had to comply with local labor laws and Forestry Code guidelines on sustainability and biodiversity. By 2007, however, the sector was selling 80 percent of its timber to China and India. Exporters shifted to selling unprocessed logs, which generate less profit and create one-quarter as many jobs as plywood. Since they now compete on quantity, rather than quality, they cut down three times as many trees to make the same revenue. Their new buyers don’t require environmental and labor certifications, so they’ve fallen away. It’s the same in Burma. In the two years after its military dictatorship uncorked in 2011, $40 billion in foreign investment poured in. Most of it came from Chinese, Malaysian, Singaporean and Thai companies; as of 2013, the United States was only the ninth largest investor. The results are about what you would expect. Earlier this year, more than 2,000 Burmese workers marched in protest outside a factory producing for E-Land, the South Korean-owned conglomerate that is now the largest women’s-apparel retailer in China. The workers were demanding a raise from $1 per day. The factory was in a special economic zone; the workers were arrested on the pretext that they didn’t have a permit for the demonstration. 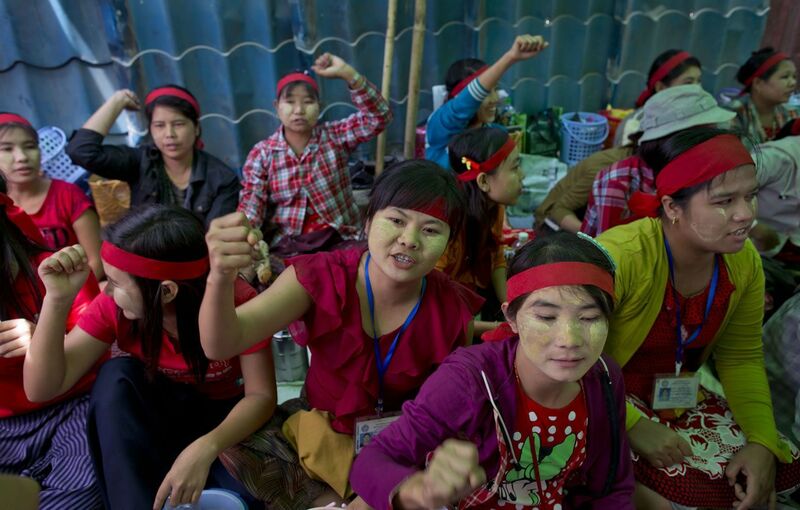 Asian companies investing in Burma aren’t run by worse or greedier people than ours are. They’re just operating under a different risk calculus. American firms putting more than $500,000 into the country are required to publicly report their land acquisitions, payments to local officials, and security arrangements. If they get busted doing something heinous, they’ll end up on front pages. Developing-country multinationals don’t have these pressures. The standard response here is that, as Chinese consumers get richer, they, too, will start demanding pesticide-free apples, cruelty-free jeans, dolphin-free tuna. And indeed, China has passed tons of legislation the past few years to improve working conditions and even requires reporting by its companies abroad. But pointing to these small (and un-enforced) steps ignores other countries that have climbed up the income ladder and haven’t brought social concerns with them. As more and more of the world’s economy takes place without us, we need to change the way we think about going after sweatshops. There’s only one idea I’ve heard that has the potential to address the flawed audits, the opaque megasuppliers and the changes in global consumption all at once. Penalizing the furnaces wasn’t an option: Brazil produced millions of tons of pig iron every year like this. Busting a single operator, or even dozens, would only add fines to the cost of doing business. Instead, the inspectors got creative. Working with public prosecutors, they unearthed an obscure judicial statement that prohibited companies from outsourcing their “core” activities. They told the smelters, the ones buying the charcoal, that from now on it was their responsibility to make sure furnaces weren’t employing forced labor. Inspectors went up the chain too, convincing the country’s largest iron-ore company to sell only to smelters that could prove their charcoal came from replanted forests and not illegal first-growth timber. They worked with state-run banks to cut off smelters from subsidized credit for two years if they didn’t closely monitor their suppliers. Suddenly, the smelters were responsible for ensuring that their raw material was produced under decent conditions. They founded an industry-wide auditing body and started sending quality experts and auditors out in pickups to check on the furnaces. By 2009, the percentage of charcoal made from illegal timber had dropped from 60 percent to 30 percent. Workers were signing contracts and earning higher wages. Furnaces were cooperating with smelters to produce higher-grade iron. All of this, it should be obvious by now, would have been impossible for private auditors. Most of that pig-iron was being bought by foreign car companies. Sure, they could have done more inspections, delivered some training, or threatened to pull orders. But encouraging smelters to move into higher-grade, more profitable exports would have been directly against the car companies’ interests. Yet this is how we expect to bring about better labor conditions in poor countries. Instead of empowering domestic agencies with a mandate to prevent abuses, we rely on international corporations seeking to insulate themselves from bad publicity. Nearly all of the horror stories that show up in consumer campaigns are illegal in the countries where they take place. These countries simply don’t have anyone to enforce the laws. Bangladesh has just 125 labor inspectors for 75 million workers. Cambodian inspectors, on average, earn less than half as much as the garment workers whose conditions they’re supposed to be safeguarding. Uganda, with 40 million people, has only 120 practitioners capable of carrying out environmental impact assessments. In Burma, regional governments have received more than 6,000 complaints related to land revocations, but have investigated fewer than 300 of them. That’s why Brazil is so startling. It has 10,000 public prosecutors and 3,000 inspectors, all making monthly salaries of at least $5,000. The inspectors collaborate with other government agencies, workers, unions and NGOs, not just to find the most outrageous violations, but to actually fix them. NYU’s Salo Coslovsky, from whom I stole the pig-iron example, says Brazilian inspectors act more like McKinsey consultants than cops. Just as schoolteachers don’t enforce every rule every time it’s broken, he says, inspectors are allowed to overlook minor transgressions (making workers stay late to get an order completed) to solve bigger ones (outdated machinery, dangerous buildings, systematic discrimination). In another case, inspectors found that auto-parts manufacturers were using outdated metal-stamping machines. Those factories were responsible for almost half the country’s industrial accidents, including hand, arm and finger amputations. Inspectors couldn’t make factory owners buy new machines—that would have cost millions of dollars. So they worked with a health and safety think tank, as well as state banks, to retrofit the existing machines. Two years later, accidents across the industry had fallen by 66 percent. All this discretion and autonomy, these cowboy inspectors roaming the countryside, sounds like an invitation for corruption. But everyone I speak with says it’s far less of a problem than you’d think. That’s in part because the inspectors are required to do far more than just complete a certain number of investigations per month. Instead, they write qualitative summaries of which worksites they’ve visited, what problems they’ve found and what they’re doing to address them. Listening to consumer advocacy campaigns, you’d think our only influence on the developing world is at the cash register. This process wasn’t easy in Brazil, and it won’t be anywhere else. Brazil’s inspectorate spent more than 30 years justifying its existence. Its farms and factories are not nice places to work in by any absolute definition of the term, and will not be for a long time. The corruption and inefficiency of developing country governments can’t be solved simply with more employees. But going around these governments won’t solve any problems either. One theory on why last year’s Ebola outbreak was so bad is that local hospitals, after years of being bypassed by international NGOs, didn't have the training or equipment they needed to treat their own communities. For decades, we’ve been doing the same thing with factories. In the ’90s, while we were telling Western companies to audit their suppliers, the World Bank was telling them that government inspectors didn’t need to anymore. Listening to consumer advocacy campaigns, you’d think our only influence on the developing world was at the cash register. But our real leverage is with our policies, not our purchases. In the '90s, the U.S. told Cambodia that to sell its clothes here, it had to open up every single garment factory to International Labor Organization inspections. Trade agreements require developing countries to establish huge intellectual-property inspection bodies to raid markets for bootleg Blu-rays. We just need to offer poor workers the same kinds of protection we give pharmaceutical patents. As for Western companies, we shouldn’t let them off the hook. But let’s be clear: All of those emerging-market multinationals that South Korea and China are sending abroad have operations in the United States, too. Foxconn has a factory in Indiana. It is not a sweatshop. That isn’t because Foxconn carries out such great audits or offers entrepreneurship classes. It’s because it is located in a country with functioning institutions. Abigail is an illustrator living in New York. Her work has been selected for Society of Illustrators and American Illustration.